The nice people at Monkey Bubbles approached me and asked if I could write some things for them and their little Overwatch community. 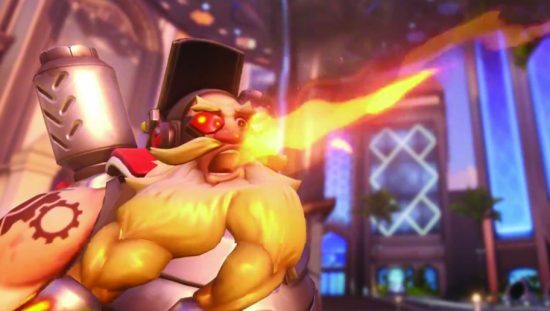 Naturally I was flattered and wrote up a piece detailing my thoughts on the recent Torbjörn in Overwatch. Specifically, I have thoughts about how his new Molten Core Ultimate ability could change the dynamic of the meta with yet another ability focusing on area denial rather than pure damage dealing. If you find the time, do me and them a favour by heading over to https://monkeybubbleow.com/ and check their site out. Or to specifically read the post I wrote, then click this link right here. Posted on September 27, 2018 by WooderonPosted in Features and/or Ranting:, Video GamesTagged blizzard, guest post, molten core, monkey bubbles, overwatch, rework, torbjorn.